These days almost everyone buys a running watch after their first few kilometres. But not all of them realize that it’s so much more than just a watch! It’s your motivation, your coach, and your activity tracker. This is quite easy to understand, actually: the motivator helps you stick to your training schedule, the coach enables you to track whether you achieve your goals (number of kilometres, amount of calories burnt, and speed), and the tracker shows you all your activities well arranged in the calendar of a running application that synchronizes with the watch. But with so many different watches to choose from these days, choosing the right one feels harder than putting it on and going for a run. What should you pay special attention to when choosing the right running watch? Let me help you choose. 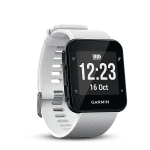 The GPS feature is perhaps the main reason why runners buy a running watch. 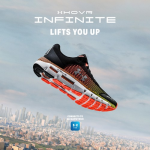 It tracks your route, displays the distance you’ve run and calculates your pace. It’s perfectly motivating and often makes you think about running down your street once again to round up the number of kilometres you’ve run. Also, if you want to keep track of your progress, the number of kilometres is very important for you. 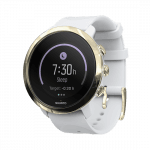 A running watch without the GPS feature is something to consider if you run mainly on the treadmill or athletics track. 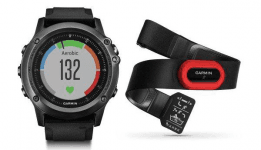 A heart rate tracker lets you set up your running zones. The latest watches feature an adjustable alarm to notify you when you exceed the limit. Keeping track of your heart rate is an excellent thing to do during more advanced training sessions, where you want to see your heart rate remaining the same or even dropping as you start to increase the number of kilometres you run. However, lots of runners don’t watch their heart rate while running or only check it in the application after the run. There are two ways to measure your heart rate. You can buy a watch with a built-in chip which measures your heart rate from your wrist or you can buy a chest strap to measure your heart rate right from your heart. Both options have their pros and cons. If you are more relaxed about your running, the watch with the chip is perfectly sufficient. If you plan to run precise intervals at a certain heart rate, go for the chest strap. There are countless discussions on the just how accurate the measurements are, and even though the differences between the values measured by the chip and by the chest strap are negligible, they could be crucial for your training. 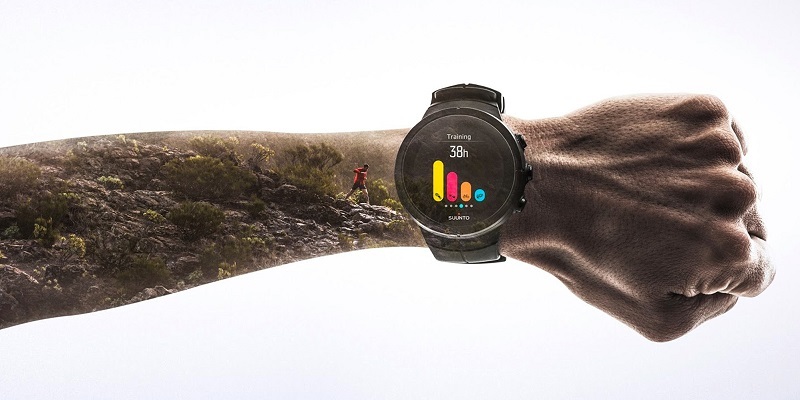 Not sure whether you want a smart watch with notifications and connected to your phone or just a watch which shows you the results? First, you need to set a budget. Of course, a smart watch is more expensive, and ideally you’d need a smartphone to download the app which will communicate with the watch. 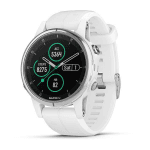 Let’s take a look at a smart watch by Garmin: it tracks your daily activities, calories burned, length and quality of your sleep, and lots of other activities. Sure, you don’t need all that to run, but I really like how fun it is. 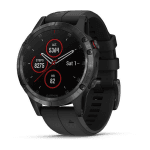 Also, you can always disconnect the watch from the phone and use it as a regular sports watch. 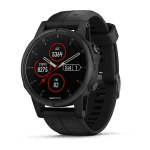 A common watch with a GPS feature without smart notifications is much simpler: just put it on your wrist and you have a buddy for all those kilometres you run, but it doesn’t sleep with you. Advantages? Less chance you’ll become dependent on technology. 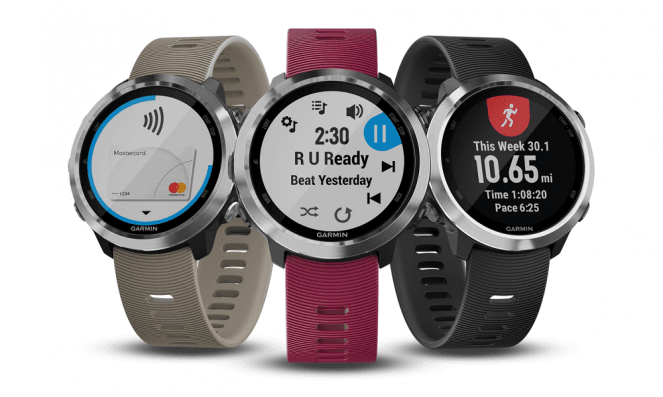 Why buy a running watch in the first place? Mainly to forget all about your phone. 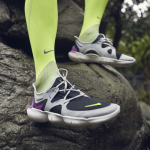 Leave it at home to ring all it wants to while you enjoy your run. Running is great for clearing your mind and a running watch will help you enjoy it even more. Also, the watch will help you track your training sessions and your progress. The information displayed during the run is the most important. 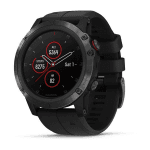 You’ll clearly see how long and how fast you’ve been running, how many kilometres you’ve covered, which heart rate zone you’re in, and the watch may even let you know that you’ve entered a Strava segment. If you’re really serious about running, a running watch should be on your wish list right after some proper shoes and sports apparel. Trust me – you won’t regret it! Enjoy your new watch and lots of amazing kilometres!